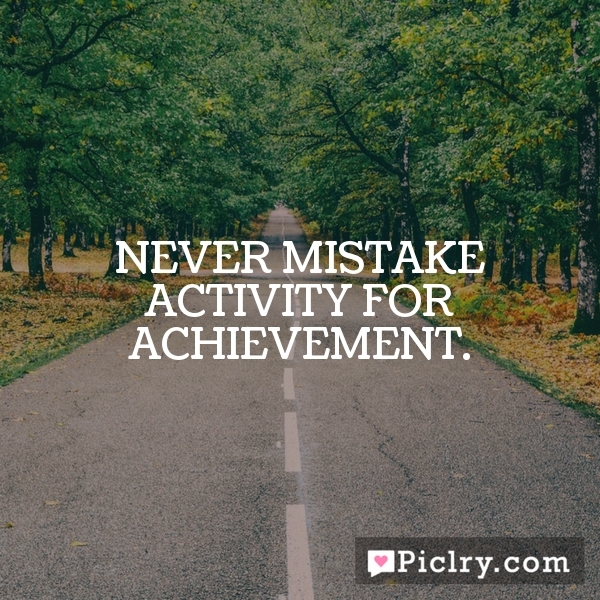 Meaning of Never mistake activity for achievement. Alas, impatience is but another form of unhappiness. It is true, it is true. I have never met a happy impatient person.